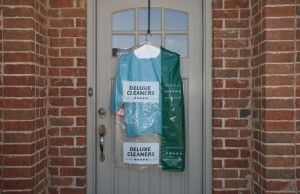 Simplify your life. . .Deluxe service and quality to your door. 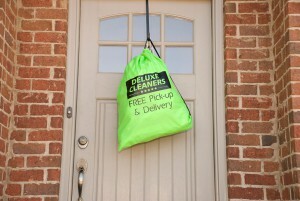 Save your time and gas, let Deluxe pick-up and deliver your cleaning to your door. We are in your area twice a week already. We’ll provide a valet bag for you. Hang it in your closet, when your ready for pick–up service simply hang the bag outside in your designated spot and we’ll be by to pick it up. We’ll return your cleaned items the next delivery day and place them in your designated spot. It’s that easy! Serving Hoover, Homewood, Mtn. Brook, Vestavia, Liberty Park, Ross Bridge, Greystone, Shoal Creek as well as most Hwy 280 Communities and More! Start today! Simply call (205) 807-0022 and speak to our route manager or complete the New Customer Sign-Up Form online and our Route Manager will call you to confirm set-up. Give us a try and see the DELUXE Difference!